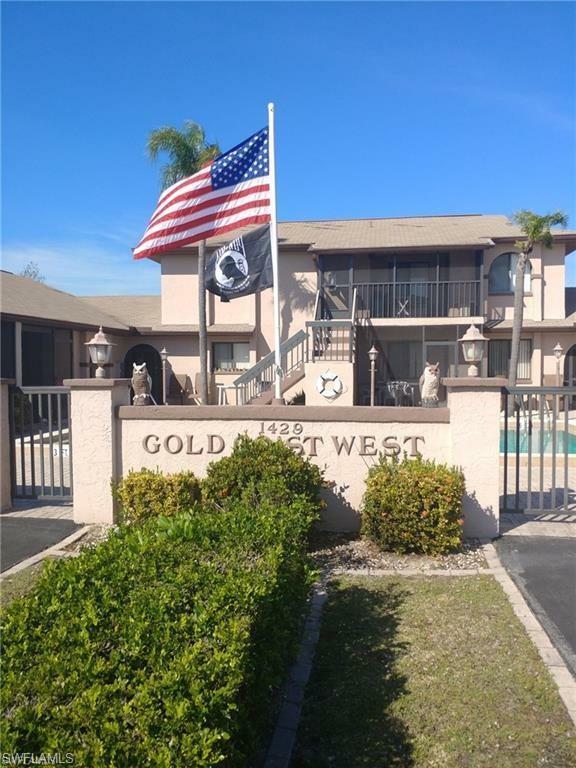 1429 SW 48th Ter #4, Cape Coral, FL.| MLS# 219008469 | Southwest Florida Residential Real Estate for Sale. Affordable living in SW Cape Coral! Clean and comfortable FIRST FLOOR FURNISHED 2 bedroom, 2 bathroom condo with nice sized kitchen, dining and living area with private laundry inside unit. Walk to Publix, shops, and dining across Chiquita Blvd. Bike down to Cape Harbor and enjoy the best of everything SW Florida has to offer! Sit by the southerly facing pool area and sip your cool drink while soaking up the sun at the Gold Coast West Condos.